We are proud to be working with the IBA for many years now. 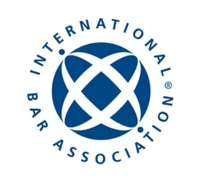 The International Bar Association’s Annual Congress is every year one of the largest events in the world of legal associations. The 2017 Congress in the newly opened International Conference Centre in Sydney (ICCS) was a highly successful event with over 5,000 international lawyers from 120 countries attending. The Welcome Party at Sydney’s Luna Park funfair catered for 4,000 delegates and was voted the best ever. Altogether the event offered a great scientific as well as social programme and our cooperation with the ICCS team was seamless. Please accept my applause and gratitude for your work before, during and no doubt after this week’s ACC Europe Conference in Barcelona. Not only have you demonstrated the highest levels of professionalism and efficiency, but it has also been a lot of laughs working together.